This set by Nils Plöjel is delightfully straightforward, although there s a few pots on the market in the marketplace. 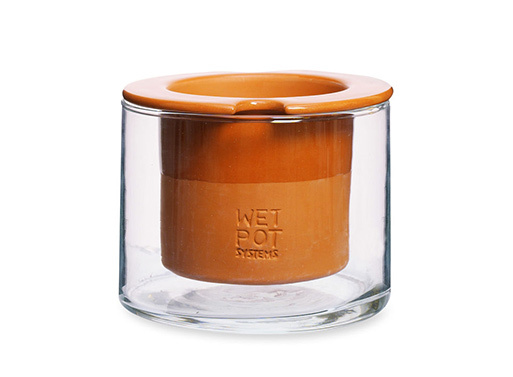 Every terracotta planter sits inside a reservoir of glass. 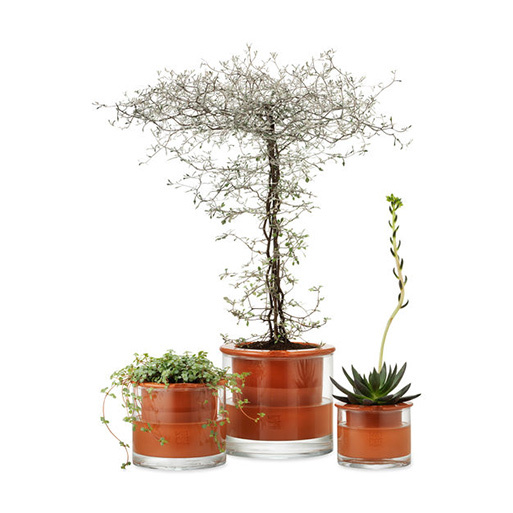 Fill the glass with warm water and then allow your plants consume just what they need, easy as that.